Apart from India Today-Axis MyIndia exit poll, all seem to have played it safe. With the Karnataka elections coming to an end on Saturday evening, it is over to the exit polls now. But instead of giving us any indication about the results to be announced on May 15, most of the exit polls seem to have played it safe. Or complicated the picture further. In fact, the India Today-Axis MyIndia poll has been the only one to predict a simple majority for the Congress – most of the other exit polls have either the Congress or the BJP ahead, with a hung assembly scenario. The India Today-Axis MyIndia poll gives the Congress seats in the range of between 106-118, with 112 seats as the average. While this gives 39 per cent of the vote share to the Congress, it gives 35 per cent vote share and a range of 79-92 seats to the BJP. The JDS+ is down to 22-30 seats, with a vote percentage of 17 per cent. Most of the other exit polls have predicted a hung Assembly – with either the Congress or the BJP within striking distance of forming the government and the JDS+ emerging as the potential kingmaker. Fate hangs in balance, literally. However, doubts persist when you closely inspect their conversion of the vote percentage to seats. For instance, the ABP-C Voter Exit poll predicts a 41per cent vote share to the BJP – but just 97-109 seats to the BJP. This later revised the BJP’s seat projection to 101-113, saying the ‘first cut’ was skewed. The ABP-C Voter poll gives 39 per cent to the Congress and 82-94 seats to the grand old party. Though it’s upto individual pollsters to follow their own methodologies in order to arrive at seat projections, it would seem that their methodology is heavily influenced by the Lok Sabha elections of 2014, and not really based on the trends in assembly elections. For instance, the BJP won 110/224 seats in 2008, with a vote share of 33.86 per cent. And the BJP yet again won 79/224 seats in 2004, with a vote share of 29 per cent. As for the other exit polls, three of them favour the Congress and five others favour the BJP—with none of them giving either party a simple majority. While exit polls are often seen to be more indicative of the final results compared to opinion polls in the run-up to elections, of late, things have gone strikingly wrong for many pollsters. The Gujarat exit polls weren’t very long ago and the urban bias and other variables – including the size and quality of samples – can lead to errors. It would be interesting to analyse what a hung assembly scenario can bring about now. If the Janata Dal (Secular) emerges as the kingmaker, there is every chance that HD Kumaraswamy would demand nothing less than the Chief Minister’s chair in a rotating scenario. And if the conspiracy theories around BS Yeddyurappa’s sidelining in the BJP are any indication, the BJP would probably be happy to prop up a JDS government till the 2019 general election, to groom their next generation of leaders and ensure the Congress’ ouster. 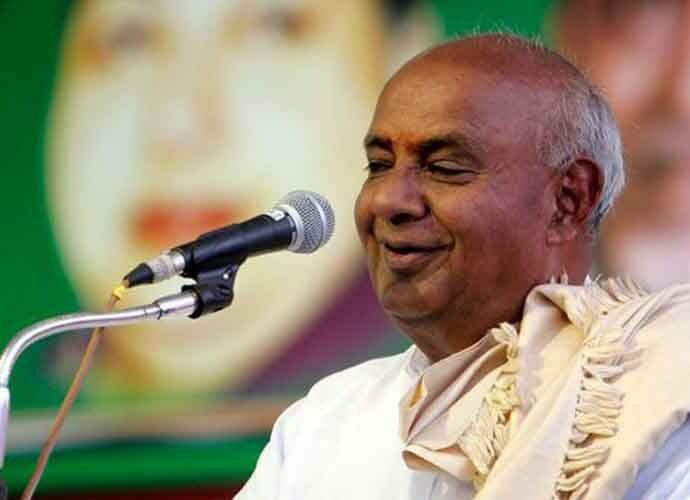 Although JDS patriarch HD Deve Gowda would be inclined to go with the Congress, it is expected that he will play along in the event of the BJP agreeing to support Kumaraswamy. 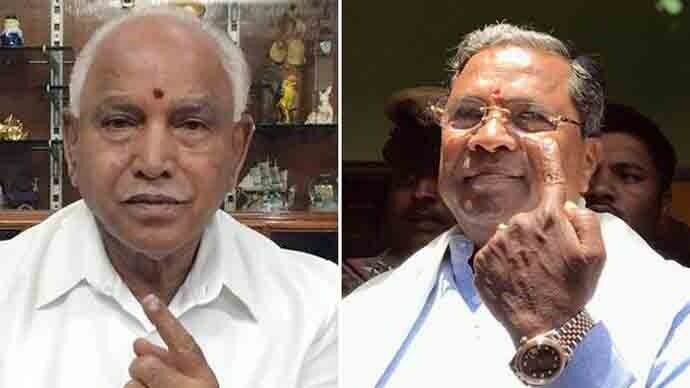 But if Deve Gowda and Kumaraswamy are persuaded by the Congress to support them, they would demand a change of guard – that might see a new Congress Chief Minister emerging out of nowhere, as happened with N Dharam Singh in 2004. Mallikarjun Kharge, who lost out to Siddaramaiah in 2013, might even emerge as a consensus candidate in that process. DK Shivkumar, the Vokkaliga leader of the Congress, might be the other contender. If either party ends up marginally short, there might be a scenario where they can cobble together Independents and parties like the Maharashtra Ekikaran Samiti in the Belagavi (Mumbai-Karnataka) region, which won two seats and finished second in three seats in 2013, to form the government. Even in 2008, the BJP had fallen short by 3 MLAs and Yeddyurappa was sworn in with the support of six Independents, making them all ministers. It is possible that back-channel talks have already begun between parties based on various permutations and combinations as exit polls have only complicated things further without giving us a clear indication.